June 17, 2011: New Onex Kit Orders Now Being Accepted! We are extremely pleased by how popular the Onex has been and are all hard at work in completing all the things needed to deliver plans and kits. We’ve finalized the delivery schedule for Onex orders. All deposit holders have received order confirmations with estimated delivery dates and order totals. We are on track to begin deliveries of Onex Kits during the second week of July. 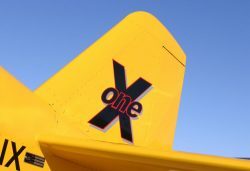 Sonex Aircraft announced today that we are now accepting new Onex Kit orders for non-deposit holders. The delivery dates for these new orders will begin in December with an approximate delivery schedule of 3 kits per week going forward. Kit delivery priority will continue to be given on a first come, first served basis. As we do for the Sonex, Waiex, and Xenos, a 1/3 deposit is required with the order with the remainder due before the kit ships, per our normal Kit Ordering Procedures. There is a new official Onex home page located on the SonexAircraft.com web site, while the Onex’s development archive will continue to be maintained on the Hornets’ Nest R&D web site as a permanent record, and new progress updates will continue to be posted to that site along with mailings to Onex email list subscribers. All Onex Complete Airframe Kit and Sub-Kit pricing can now be found on the SonexAircraft.com pricing web page, and orders may be placed via the Sonex Web Store. Note that we are all working hard to maintain a reasonable delivery schedule for new Sonex, Waiex, and Xenos kit orders with a typical lead time of 10 to 14 weeks. There has been a tremendous amount of progress on the Onex in the past few weeks including large shipments of parts for the first 50 Onex Kits arriving every day. These are being checked in and organized, packing lists generated, and plans worked as all of our schedules allow. We will be starting a OnexPlans eGroup in July before the AirVenture Fly-In. This will serve as an excellent resource for Onex Builders as the first few builders begin construction as others prepare their shops for kit arrival. We are all excited about AirVenture 2011 and hope to see you at the show! As always, please feel free to contact us with any questions or Comments.